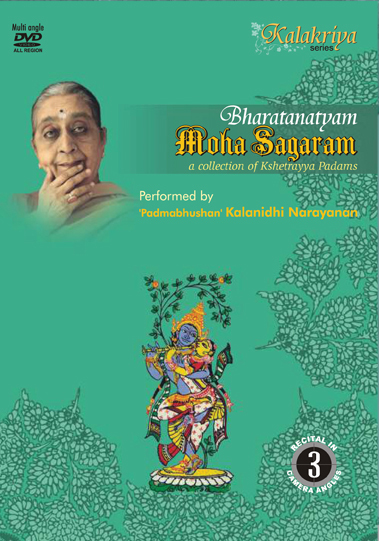 Some powerful, pithy and passionate verses of Kshetrayya, the 17th century Telugu poet find articulation through a full-blown demonstration by 'Padmabhushan' Smt. Kalanidhi Narayanan, the legendary abhinaya exponent. With ease and elegance, 'maami'- as she is affectionately called- unrolls layers and layers of the multiple dimensions of shrungara rasa in a unique language called abhinaya using her eyes, head, neck and also the hands that fold and unfold in various styles and shapes. Her furrowed face explodes into a kaleidoscope of emotions as she depicts the desires and dilemmas of lovelorn heroines. It is a scintillating synergy involving verses animated by music and articulated by an ageless dance form. How did your feet carry you away from your beloved? Don't you know how much he suffers on account of this separation?- is the sakhi's poser to the heroine.